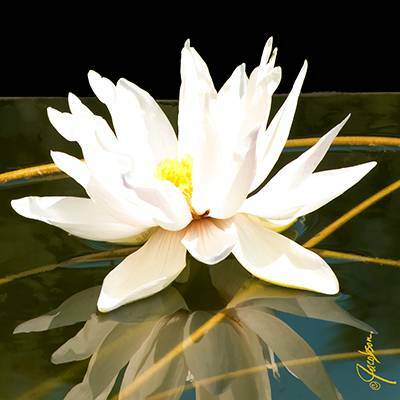 Waterlily Reflection painting by Jackie Jacobson transformed into beautiful tile art coaster. Jacobson said, “I love painting waterlilies. The reflection on the water is what inspired me to paint the waterlily.